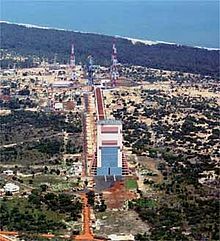 While seven satellites went into orbit today aboard the Indian Space and Research Organization’s (ISRO) Polar Satellite Launch Vehicle (PSLV) flight C20 and the majority of the credit for the successful launch certainly belongs with the ISRO, at least one other Canadian organization looks poised to benefit. The University of Toronto Institute of Aerospace Studies (UTIAS) Space Flight Laboratories (SFL), built two of the satellites (the CanX-3a BRIght Target Explorer and the CanX-3b TUGsat1, which are part of the BRITE constellation of micro-sats), tested and helped launch another (the third in a series of Aalborg University Cubesats or AAU-Cubesat3) and originally helped to develop the methodologies used to build both the Department of National Defence (DND) Surveillance of Space (Sapphire) satellite and the Near-Earth Object Surveillance Satellite (NEOSSat). The manufacturing methodologies used in Sapphire and NEOSSat originally developed out of the Canadian experience with earlier satellites, such as the Microvariability and Oscillations of STars (MOST) space telescope. 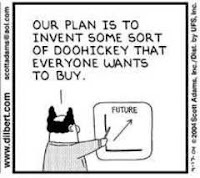 As outlined in the May 9th, 2010 post titled "the Microsat Way in Canada" this methodology focused on inexpensive, quickly constructed components used frequently to build up a body of expertise by testing to failure (instead of just testing for functionality), because of the usefulness of the real world knowledge gained. This methodology was eventually formalized in a paper titled "The Microsat Way in Canada" by Peter Stibrany and Kieran A. Carroll, two employees at Dynacon Enterprises (one of the contractors for MOST). The paper included many the core concepts in what would later become the standard operating procedures at UTIAS-SFL and other organizations. MOST was developed as a joint effort of the Canadian Space Agency (CSA), Dynacon Enterprises (which went on to develop NEOSSat under the name MSCI), the University of British Columbia and the UTIAS SFL. All of which gives the UTIAS-SFL a direct connection to five of the seven satellites launched. 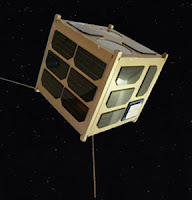 There's even an indirect connection to a sixth satellite, the innovative Surrey Training Research and Nanosatellite Demonstrator 1 (STRaND1), built by Surrey Satellite Technology Ltd. (SSTL) and operated by a "Google Nexus One smartphone with an Android operating system" according to the February 25th, 2013 press release "World’s first “phonesat”, STRaND-1, successfully launched into orbit." 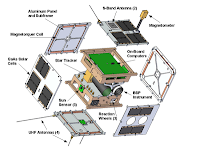 Both UTIAS SFL and SSTL (which also helped out with Sapphire) use satellite bus designs derived from designs used by the Radio Amateur Satellite Corporation (AMSAT-NA) in the 1970's and 80's for satellites containing amateur radio payloads. UTIAS SFL even provides a low-cost launch service through it's Nano-satellite Launch Services (NLS) program. 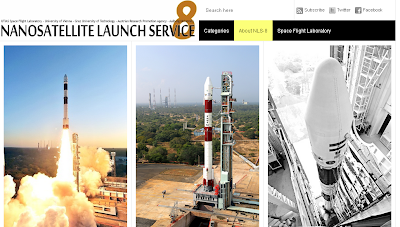 Nanosatellite Launch Services 8, the eighth launch under the UTIAS SFL Nanosatellite Launch Service (NLS) program, organized the CanX 3a, CanX 3b and AAU-Cubesat3 payloads aboard PSLV-20. To date, the NSL program has successfully launched 16 spacecraft from various countries. Organizations like these are where the next generation of innovation in satellite design is going to come from, and the UTIAS SFL is a leading player in the process. Which makes UTIAS-SFL one of the real winners from the PSLV-20 launch. Are Military and Space Procurement Issues Related? The most important from the perspective of the Canadian space industry was the Aerospace Review, which was discussed most recently in the December 5th, 2012 blog post "What the Space Volume of the Aerospace Review Actually Says." 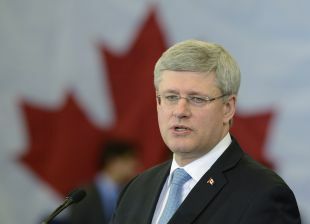 But there have been others, including a formal review of the Canada First Defence Strategy (which included a requirement for command, control and situational awareness capabilities of a type best provided by Canadian satellites) and the Review of Federal Support to Research and Development (also known as the "Jenkins panel," after panel chair Thomas Jenkins), which focused on Federal R&D policies of interest to Canadian space companies and was discussed most recently in the October 24th, 2011 blog post "Responding to the Jenkins Panel on R&D." Now comes a second Jenkins report from the very same Tom Jenkins (who's now the special adviser to the minister of public works and government services) but focused this time on military procurement. Titled "Canada First: Leveraging Defence Procurement Through Key Industrial Capabilities" the latest report attempts to tackle many of the same issues which also bedevil the procurement of space assets. Even better, both the Aerospace Review and the second Jenkins report both seek to encourage the development of new and lower cost Canadian based suppliers as a way to deal with ongoing cost overruns, such as the F-35 fighter program and the Radarsat CONSTELLATION mission. The Federal government should move forward "immediately" to identify and support key industrial capabilities (KIC's), such as space based radar surveillance capabilities, command, control, communications, computers, intelligence, surveillance, and reconnaissance (C4ISR) systems integration and other areas so that industry and government can together meet the operational requirements of the Canadian Forces (CF) while generating sustainable economic growth in Canada and increasing the abilities of Canadian firms to supply solutions to Canadian defence needs. The Federal government should also move "immediately, in partnership with industry and academia, to facilitate the establishment of an independent, third-party defence research and analysis capability in Canada" to validate, amend or improve on the initial selection of KICs. The aerospace review, while subscribing to much the same overall viewpoint, took a slightly different tact regarding the Canadian space industry, mostly because of its much smaller size. (However) its impossible to know with certainty whether a notion which appears unrealistic today might lead to tomorrows breakthroughs. Without endorsing specific speculative projects, public policies and programs can create the conditions for entrepreneurs and researchers to test and pursue creative approaches and, in so doing, jump start Canada's private space activity at a time when the global commercial space business is gaining momentum." While it's refreshing to slowly watch the Federal government come to the conclusion that Canadian companies are capable of competing in any arena, not everyone currently subscribes to this approach. 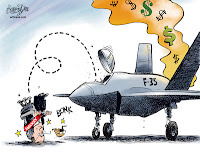 The February 20th, 2013 Globe and Mail even went so far as to suggest "How to waste tax money: Buy Canadian," and suggests that the same strategy used to procure Canadian space assets and skewered by the Emerson panel (what the author called the "Canadarm approach") is worthy of maintaining for the military procurement process. Lets hope these foolish people start coming to their senses soon. Canadian Satellites Set to Launch: This Time for Sure! The Satish Dhawan Space Centre. The clock is still ticking for a quartet of Canadian satellites being launched on an Indian rocket. The flight C20 payload includes the Department of National Defence (DND) Surveillance of Space (Sapphire) satellite, the Near-Earth Object Surveillance Satellite (NEOSSat) and the CanX-3a BRIght-star Target Explorer (BRITE) and the CanX-3b (TUGsat1) micro-satellites. The Canadian satellites are a secondary payload, with space being shared with satellites from India, France, Denmark and the UK. Sapphire will be Canada’s first operational military satellite. Loaded with optical sensors, its primary missions will be monitoring orbiting satellites and tracking space debris. Defence Research Development Canada (DRDC) proposed Sapphire in response to China’s 2007 test of an anti-satellite missile, which left much debris in low Earth orbit and served as a stark warning to other nations that their commercial and military space assets were vulnerable to attack. SAPPHIRE key elements. c/o E/O Portal. Sapphire will serve as the core of the proposed Canadian Surveillance of Space System and will also link to the United States’ Space Surveillance Network. 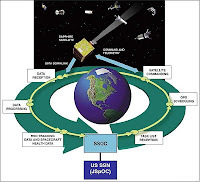 Sapphire was developed by MacDonald, Dettwiler and Associates (MDA) of Richmond, BC, COM DEV International (COM DEV) of Cambridge, ON and Surrey Satellite Technology Ltd. (SSTL) of Surrey, England. NEOSSAT will be the first space telescope designed specifically to search for near-Earth asteroids that could potentially collide with the Earth, such as what happened with the February 15th explosion of a meteorite over the Russian city of Chelyabinsk. The suitcase-sized satellite will orbit approximately 800 kilometres above our planet, searching for near-Earth asteroids that would be difficult to spot using ground-based telescopes. Aside from planetary defense, this data will be crucial for future government and private missions to nearby asteroids. NEOSSAT will spend half its time looking for these small objects and the other half monitoring space debris in Earth orbit that could collide with other satellites and cause major telecommunications outages. NEOSSAT was jointly developed by DRDC, the Canadian Space Agency (CSA), Microsat Systems Canada Inc. (MSCI) , Spectral Applied Research and COM DEV. CanX-3a, also known as BRIght-star Target Explorer (BRITE), is a CanX-class nanosatellite designed and built at the University of Toronto Institute of Aerospace Studies (UTIAS) Space Flight Laboratories (SFL). A 20 cm cube, its primary mission will be making photometric observations of some of the brightest portions of the sky to examine stars for their variability (fluctuations in brightness) as part of a two satellite constellation with CanX-3b. It is expected that these observations will be at least 10 times more precise that what can be achieved with ground-based instruments. BRITE incorporates a high-performance attitude control system, using reaction wheels developed by UTIAS SFL in collaboration with Sinclair Interplanetary of Toronto, ON. BRITE was developed by the UTIAS SFL with support from the CSA. TUGSAT-1. c/o Gunters Space Page. 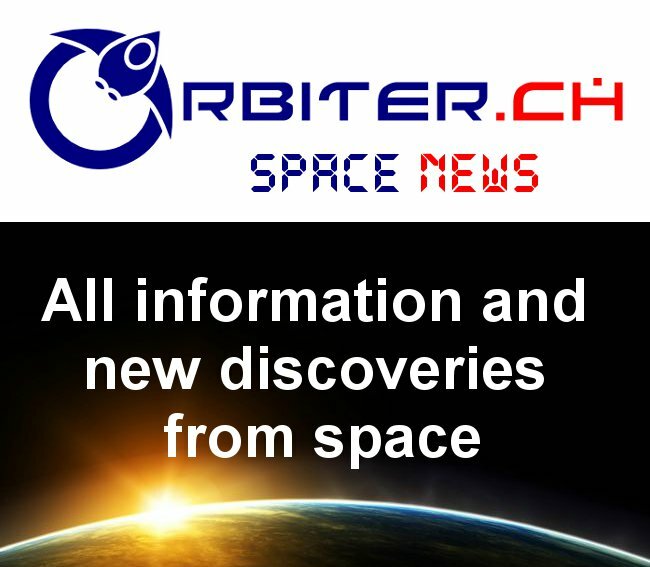 CanX-3b, more properly known as BRITE-AUSTRIA/TUGSAT-1, although reasonably considered to have been mostly "made in Canada" is funded by the Austrian Space Agency and slated to officially be the first Austrian satellite. Working with CanX-3a as part of a two satellite constellation, BRITE-AUSTRIA/TUGSAT-1 will inhabit an 800 km polar orbit and track the brightness oscillations of massive luminous stars using differential photometry. A Mission Control Centre has been set up in Graz, Austria with additional ground stations in Toronto and Vienna to be brought online later. With so many space assets squeezed aboard a single launcher, Canadian and international space-watchers will certainly have their fingers crossed as the watershed launch approaches. Asteroid mining company Deep Space Industries (DSI) didn't wait for the dust to settle after the unexpected impact of an asteroid over the Urals on Friday before issuing a press release reminding everyone that tracking near Earth objects is one of the things the firm is focused on. Today’s impact in Russia and the near miss by asteroid 2012 DA14 should shock the world into creating a sentry line of spacecraft circling the Earth to intercept and evaluate incoming threats, Deep Space Industries proposed. Deep Space Industries proposes establishing several sentry lines encircling Earth with small spacecraft able to dart after intruders to get close-in photos and data as they pass. Over time additional spacecraft able to grab samples for analysis on Earth would join the sentry lines. As outlined in the February 16th, 2013 CBS News article "After dramatic meteor strike, Russians pick up pieces," over 1,200 people were injured by the shock wave and hundreds of building damaged from the explosion (estimated to be as strong as 20 Hiroshima atomic bombs), which occurred when a meteorite vaporized over the Russian city of Chelyabinsk around sunrise on Friday. A February 15th, 2013 update on the NASA Asteroid and Comet Watch website titled "Russia Meteor Not Linked to Asteroid Flyby" estimated the size of the asteroid to be approximately 55 feet (17 meters) with an estimated mass of approximately 10,000 metric tons. The February 15th, 2013 ABC World News article "Meteor explodes above Russian city; 1,200+ hurt" quoted NASA officials as stating that they "weren't tracking this meteor because it was so small." The NASA Asteroid and Comet Watch website took pains to point out that the object which landed in Chelybinsk was totally unrelated to another asteroid which NASA did track. Not all asteroids are the same, and to be ready to deflect one that’s on a dangerous trajectory the world needs to know more about their structure and composition. Many may be solid but all photos so far have shown gravel and rock piles. 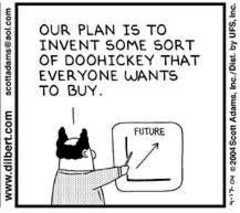 A defense plan assuming the wrong type could make matters worse. DSI isn't the only organization looking into tracking asteroids. According to the February 16th, 2013 UK Observer article "Scientists unveil new detectors in race to save Earth from next asteroid," a variety of public and private organizations have plans to develop techniques that can pinpoint relatively small but still potentially devastating meteoroids, comets and asteroids that threaten to strike Earth. As outlined in the May 7th, 2012 blog post "Why not build Planetary Resources a NEOSSat," several existing Canadian satellites also possess the operational capabilities to contribute to these activities. As for DSI CEO Tumlinson, he'll be making a presentation in Toronto, Ontario at the 2013 CSCA National Conference (CSCA 2013) at the Metro Toronto Convention Centre (MTCC) in Toronto, Ontario on March 7th, along with Jim Keravala, the chief operating officer and co-founder of Shackleton Energy Company, Dr. Robert (Bob) Richards the CEO of Moon Express, plus over a dozen other speakers and an estimated 100 attendees. They'll be discussing the technical, legal and financial aspects associated with commercial space resource utilization and the tracking of those resources. The conversation should be an interesting one. It's interesting to note the similarities between the 1970 Monty Python's Flying Circus sketch "Little Red Riding Hood," in which American astronaut Edwin Eugene "Buzz" Aldrin rescues the "pretty" daughter of a humble woodcutter (played with gusto by John Cleese) and the currently running TV commercials for AXE deodorant where an astronaut modeled on Aldrin is chased by beautiful women because "nothing beats an astronaut!" In both productions, the astronaut simply stands by as others do the real work. In the 1970 Python sketch, "the wicked wolf was shot by security guards" and in the current AXE commercials, a series of firemen, lifeguards and others do the real rescuing while the astronaut shows up at the end to bask in reflected glory and adulation. And maybe that's the real silliness of the current AXE commercials. No one can become a real astronaut simply by winning a contest and letting others do all the difficult work just like no boy can ever become a man simply by purchasing a cologne. Of course, women have also been offended by the current AXE campaign. As outlined in the February 9th, 2013 Space Safety Magazine article "Is the AXE/Apollo Campaign Sexist? The Resentment Builds Up," the overall campaign has been generally considered sexist and not altogether understandable. According to the article, "the campaign not only discourages female participants, but is also very disrespectful to all the women who successfully took part in various space missions, some of them even serving as ISS commanders." According to the January 9th, 2013 Parabolic Arc article "AXE, Buzz Aldrin to Send 22 People into Space on Lynx Flights" Buzz Aldrin has even attached himself to the current campaign, which is wrapped around a promotional contest to win 22 suborbital trips on the X-Cor Aerospace Lynx suborbital spaceplane. But Aldrin should know better. So should X-Cor Aerospace. Perhaps over the next few months they'll both come to their senses. The last of a small group of Canadian and British engineers and scientists, active in postwar Canadian aviation development, who moved south to participate in the early US space program and over time became silent repositories of much of our recent history, are slowly passing from the scene. Henderson, NV – David Dunlop Ewart 85, died on Sunday Jan 20, 2013 at home from heart failure. He leaves behind his wife Sally Ewart and Stepson Mayo Sharpe as well as close friends Martine Jorden, Arin Mahoney and Shirley Coates. David worked on Military aircraft as an apprentice during World War ll in London England and received his bachelor's degree from Trinity College at Cambridge in Mechanical Engineering His dorm room was not too far from where Isaac Newton's room was located. He eventually went on to serve with the Canadian Royal Air force from 1950-1953, after which he worked on The AVRO CF-105 jet aircraft. In 1959 David joined NASA, part of a group of ex-Avro engineers hired when the CF-105 program was cancelled, where he worked on project Mercury and the Apollo spacecraft program in Downey California. 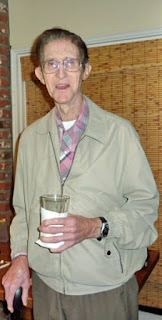 He served as resident manager of Skylab at McDonnell Douglas in Huntington Beach California. In 1973 he became Chief Systems engineer for the space shuttle program. His success can be directly attributed to his work ethic and natural mechanical ability as well as being able to work with other excellent engineers. 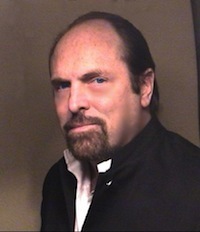 Services were held at Bunker funeral home in Las Vegas on Saturday January 26, 2013 by family and friends. 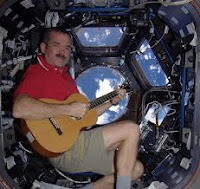 It's quite likely that our next Canadian astronauts won't work for the Canadian Space Agency (CSA). As originally outlined in the June 3rd, 2012 blog post "Meteorites, ITAR, a Secret Consortium of Research Universities & Astronauts from Manitoba," Winnipeg natives Rob Bendall, a former bush pilot and Vince Jandrisch, an ex-Canadian forces Snowbird demonstration pilot, will be among the first to fly paying customers to the edge of space aboard the Virgin Galactic fleet of suborbital spacecraft. This gives Bendall and Jandrisch a better chance of getting into space faster than current CSA astronauts Jeremy R. Hansen and David Saint-Jacques who are still waiting patiently for any upcoming Canadian seat to the International Space Station (ISS). As outlined way back in the September 4th, 2010 Spaceref.ca article "Canadian Space Agency in Negotiations for Future Launch Access to the Space Station," the current trip by Chris Hadfield is the last available contracted Canadian launch seat to the ISS. Future flights to the ISS will have to be paid for by the CSA unless some other arrangements are made with NASA. But NASA will not have its own human launch capability in place for many years to come. So that leaves the Russians. For 2013-2014 NASA will pay Russia $56 million per seat on a Russian Soyuz. Realistically with Hadfield being onboard the ISS until almost mid-year in 2013 Canada won't likely send another astronaut to the ISS until the earliest 2015 at which point a Soyuz flight will most likely have gone up in price. 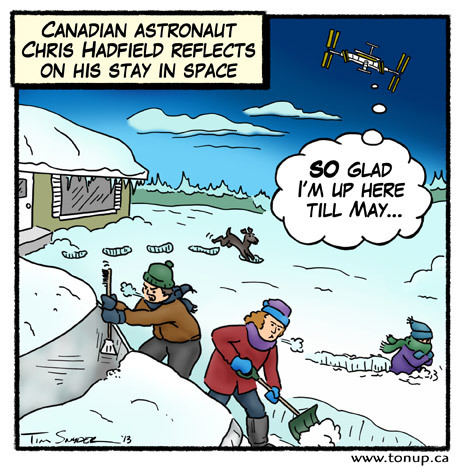 It would also most likely mean that this is Hadfield's last flight. Virgin Galactic expects to begin commercial suborbital flights beginning in 2014 at which point, Bendall and Jandrisch become our next Canadian astronauts. This situation isn't unique to the CSA. As outlined in the January 13th, 2013 Universe Today article "Private Test Pilots to Fly 1st Commercial Crewed Space Flights for NASA," commercial test pilots and not NASA astronauts, will fly the first crewed missions of the Boeing CST-100, the SpaceX Dragon capsule and the Sierra Nevada Dream Chaser lifting body before passing the tested vessels along to NASA. ...the agency is implementing a new way of doing business in human spaceflight and purposely wants private companies to assume the flight risk first with their crews before exposing NASA crews as a revolutionary new flight requirement. On January 29th, Astronauts4Hire (A4H), a private sector recruiting firm and the National AeroSpace Training and Research (NASTAR) Center announced that they had signed a services agreement for space training and collaborate on developing "new A4H-branded training programs for A4H’s commercial astronaut candidates," according to the January 31st, 2013 Parabolic Arc article "Astronauts4Hire and NASTAR Center Announce Partnership." NASTAR is a division of Environmental Tectonics Corporation (ETC), a private firm with a long history of US and international military and civilian aircrew training. In essence, while we should certainly be applauding the current adventures of our government funded astronauts, we also need to remember that their time is rapidly coming to a close. Perhaps they'll eventually find jobs in the private sector. As outlined in the February 1st, 2013 Chronicle Journal article "Ecocidal behaviour," there has been substantial, recent Canadian debate as to whether or not the Federal government has "muzzled" scientists by preventing them from commenting publicly on scientific research. Of course, if mainstream journalists spent a little more time directly accessing the scientific journals and a little less time waiting for scientists to tell them what's happening, they might have noticed a larger problem. According to Nick Shockey of the Right to Research coalition and Jonathan Eisen, professor at the University of California, Davis and editor in chief of PLoS Biology, we live in a culture where access to scientific information is routinely restricted and not just by the government. The two argue that much of the current government science funding is often compressed into a single research paper for publication in an academic journal which then can't be accessed by others because of the costs the journals routinely charge. Shockey and Eisen argue that journal prices have outpaced inflation by over 250% during the last 30 years and this cost often prevents those without the cash from accessing the most current findings. In essence, they argue that journal paywalls are considerable barriers to scientific collaboration and instead advocated a process of "open access," which is the practice of providing unrestricted access via the Internet to peer-reviewed scholarly journal articles. The logic behind this is that most of the research is paid for by taxpayers through government grants, who therefore have a right to directly access the results of what they have funded. The situation is worse for rocket and space scientists, which work in areas often restricted over concerns related to national security. As outlined in the June 24th, 2012 post "Jerry Pournelle, the CoDominium and ITAR Policy," the current confusion of contradictory rules and regulations for disparate organizations which proliferate to encourage the division of knowledge into increasingly smaller, unconnected and useless sub-specialties, isn't helping science move forward. As of January 1, 2013, CIHR-funded researchers will be required to make their peer-reviewed publications accessible at no cost within 12 months of publication – at the latest. While the revised Policy provides researchers with clear guidance on CIHR's minimum expectation, in the spirit of public benefits of research, CIHR continues to encourage researchers to make their publications accessible for free as soon as possible after publication. Compliance with the Open Access Policy will continue to be monitored through end of grant reporting. All of which sounds positive for the private citizen, who would receive direct access to journals, but also sounds like more work for the poor traditional journalist. who might need to start doing more than simply buttonholing scientists for the latest sound-bytes.